Concluding 6 Reasons to Seek an Expungement of Your Criminal Record, here are some additional important reasons that it may be a good idea for you to pursue an expungement of your criminal records. 5. An expungement can open up educational (and related funding) opportunities. The bottom line is that an expungement of your criminal records can open up many future opportunities, and Christopher Griffin can help you with this important matter. Whether you have aspirations to go to a trade school, a university and/or graduate school, having a criminal record can quickly shut down your opportunity for admission, as many of these institutions of higher education require that you consent to a background check as a condition of the screening process. What can be just as distressing as this is the fact that, even if you manage to get through the admissions process successfully and are admitted to your college or university of choice, you may not be able to obtain the grants, scholarships and/or loans that you need in order to cover the tuition if you have a criminal record. In either case, the fact is that your criminal record can prevent you from getting the education you want and need to pursue your ideal career path. 6. An expungement gives you the option to adopt children later (even if you don’t think you want to now). While the thought of adoption may have never crossed your mind, you can never tell what the future may hold and whether or not you may want to pursue an adoption 5, 10 or 15 years down the line. By seeking an expungement now, you can effectively open up this possibility for yourself in the future if you decide later in life that you want to expand your family through adoption. The bottom line is that, when you make the smart decision to move forward with an expungement of your criminal record, you will open up a number of opportunities for yourself while giving yourself the peace of mind that your criminal record won’t pop up to haunt you at any point in the future. When you are ready to get a fresh start and effectively seal or expunge your criminal records, it’s time to contact Christopher Griffin. Ready to put his extensive experience and resources to work for you, Christopher Griffin can immediately start providing you with superior legal representation and, ultimately, can help you resolve your important legal matters as favorably and efficiently as possible. 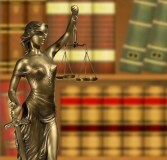 When you make the wise decision to move forward and work with Christopher Griffin, you can count on that fact that he, as well as all of the legal professionals at the Griffin Law Firm, will work tirelessly to help you secure the best possible outcome to your case so you can concentrate on moving on with your life.